Ever since my husband and I moved back to Long Beach, New York a few months ago, we have become completely addicted to the sushi at Nagahama, which is proud to have been ranked the #1 Japanese restaurant on Long Island by the Zagat survey for the past three years. ​In the Zagat survey, Nagahama narrowly beat Kotobuki, my other favorite sushi spot, by one point in food (28 points vs 27 points). Now that we have visited Nagahama at least once a week (sometimes more!) for the past few months, I can definitely see why this little gem reigns supreme in the rankings. The restaurant is small and cozy and the staff are very friendly and welcoming. 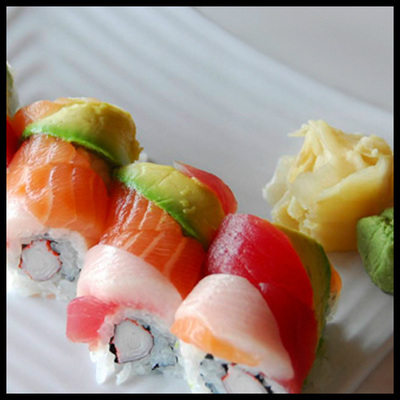 What really stands out though is the ultra-fresh, inventive and delicious sushi. We love to sit at the sushi bar and watch the sushi chefs in action. What is unique about Nagahama is that even the simplest items have a slight twist that makes them outstanding. For example, the chefs place a tiny dab of wasabi beneath every piece of sushi, between the fish and the rice. This is the traditional way to eat sushi, but Nagahama is the only sushi restaurant that I've been to that actually serves it this way. It is a deliciously spicy surprise in every bite. Also, for most of Nagahama's "spicy" rolls, instead of using the ever-popular spicy mayo, they use traditional Japanese chili paste and spicy sesame oil. They also use a dab of sesame oil in many of their rolls, which gives such a deep, beautiful flavor to the fish. I also like that Nagahama offers you the option to order a half-roll portion of certain specialty rolls. This way you can try different types of rolls without fully committing. 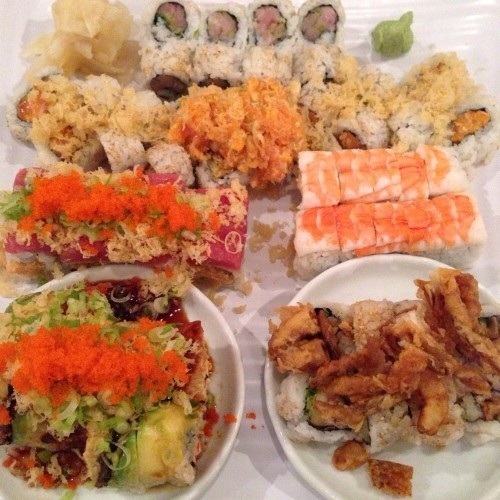 If you find yourself on the South Shore of Long Island, you should definitely check out Nagahama! Chirashi Sushi (pictured above): Fresh sliced fish served over seasoned sushi rice in a bowl. Garnished with micro greens, thinly-sliced radish, lemon wedges, wasabi and pickled ginger. So fresh, so delicious - you really can't order anything healthier than this! 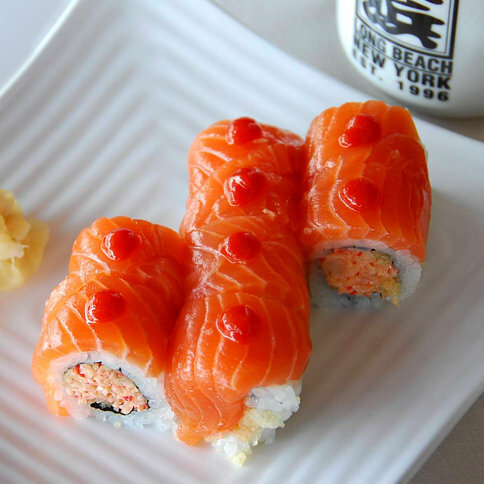 Spicy Fresh Salmon Roll: Fresh salmon, cucumber, chili paste, spicy sesame oil. 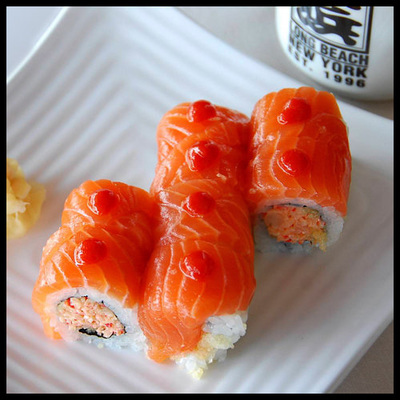 A great choice for salmon lovers like me who like their rolls with a kick. Super healthy, no mayo necessary. Crunchy Spicy Shrimp: Chopped shrimp, fish eggs, scallion, mayo, sesame oil, tempura crunch. This one is rich, nutty and delicious - like a good shrimp salad with a nice crunch from the tempura bits. Not too heavily dressed with mayo, with just a hint of vinegar in the mix. Crunchy Spicy Tuna: Chopped tuna, fish eggs, scallion, tempura crunch, spicy sesame oil and chili paste. This is my husband's favorite roll because it is very tasty and is not made with mayo. barbecued eel, scallion, spicy sesame oil and barbecue eel sauce. 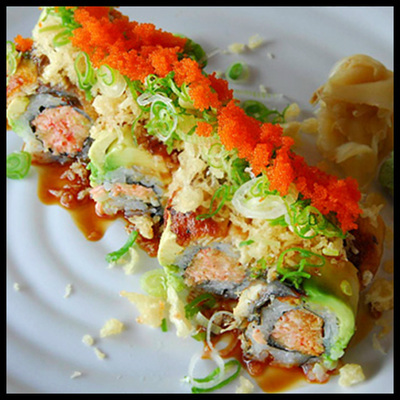 Red Dragon: Shrimp and asparagus tempura inside, topped with spicy tuna, tempura crunch, fish eggs and scallion. "Nagahama Japanese Restaurant Video" was originally posted by Sarah Gardner. View it below. "One of the Best Japanese Restaurants in Long Island in Long Beach" was originally posted by newyorkcity.eventful.com. 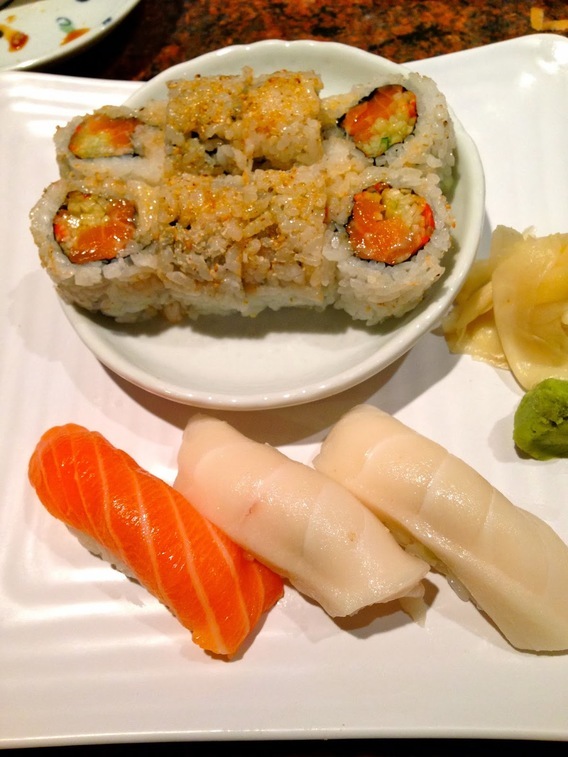 ​TAKE A TRIP TO LONG BEACH AND EXCITE YOUR TASTE BUDS WITH SOME JAPANESE CUISINE FROM NAGAHAMA! Japanese cuisine is one of the most popular types of foreign foods throughout the world. Now Japan is closer to New York more than ever. 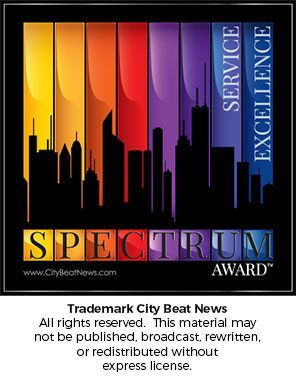 Just come on down to Long Beach and enjoy Zagat’s #1 Best Food Restaurant in Long Island. You won’t know what you’re missing until you’ve taken a bite out of one of Nagahama’s amazing food dishes. Sarah's Secrets segment Sarah shares some great NYC and Long Island Secrets ranging from the best Italian & Japanese cuisines , to the best gyms in the 5 Borrows, to where to find the best seafood and beer selections on Long Island and in Manhattan. Special look at Via Vai, Jeremy's Ale House, Nagahama, MatchPoint NYC, and Seoul Garden! Watch the video here or below! "Nagahama: Zagat Rated Best Sushi On Long Island" was originally posted by itsagtv.com based on an interview done by TaniaOnTheScene.com. 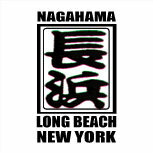 Nagahama Japanese Restaurant is located on Long Beach. 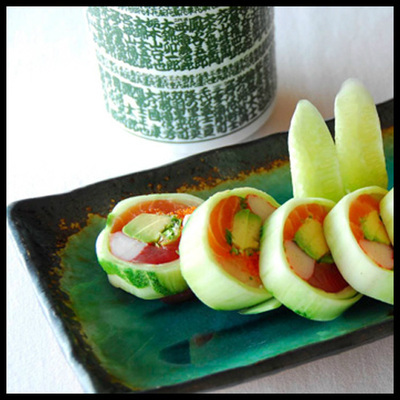 They are known for their Japanese cuisine and moderately priced array of sushi rolls. The restaurant has a warm decor along with friendly staff and delicious fresh, food. For the website and details on the full menu, head over to http://www.nagahamasushi.com but be sure to call beforehand, or make reservations: 516-432-6446. The interview was done by Tania and can be viewed on her site taniaonthescene.com here or in the video below.